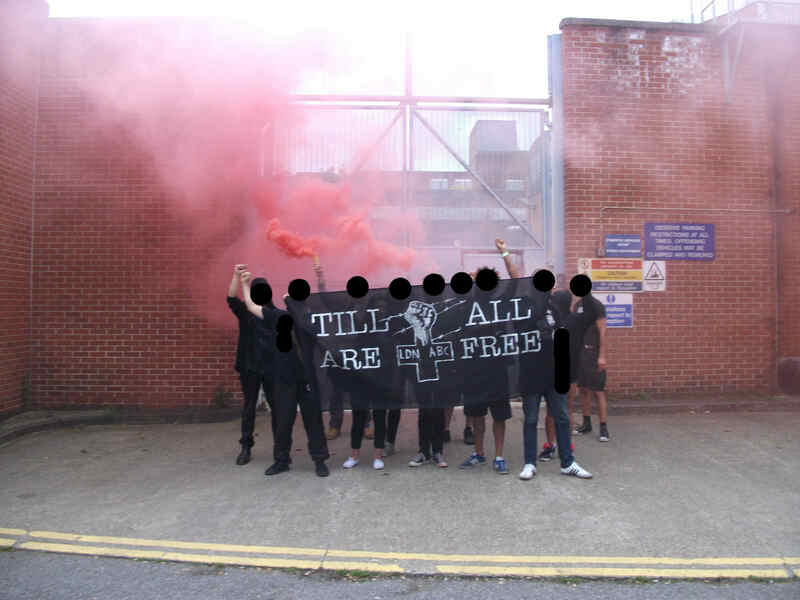 Two anti-fascist prisoners currently serving a custodial sentence in relation to a fight with the South East Alliance in London during the summer of 2014. If you would like to write to either K or D, address envelopes to one of them and send to Freedom Bookshop. They will then be forwarded on to them. 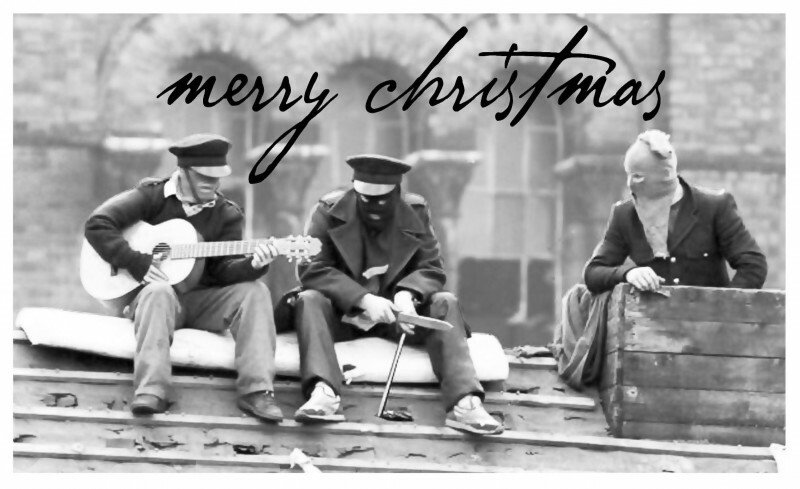 Remember to include a name and address on the card/letter for the prison to accept it. We at London Anti-Fascists believe history has taught us that anti-fascist action is ALWAYS self-defense. It’s in that radical tradition of confronting fascist’s and their ideas that we organise to create a space for working class organisation in order to realise a world without hunger or fear. 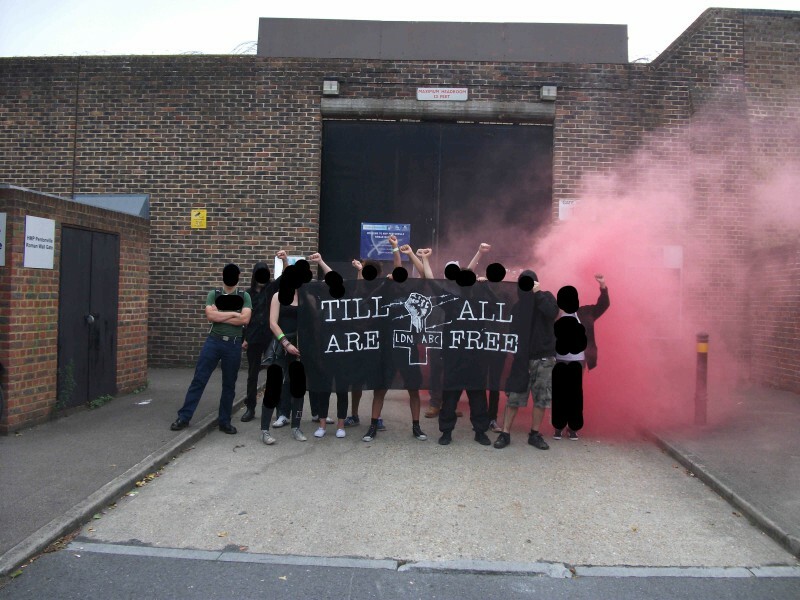 To mark International Anarchist prisoner week last Saturday London ABC & friends visited two prisons in north London Holloway & Pentonville. 325 recently received an email from London ABC who are part of organizing a tour for a member of the Belarus ABC about repression in that country. London ABC asked us to publicize their meeting in Freedom Bookshop, but instead we publish the details of the entire tour. We’ve previously reported repression and resistance news from Belarus. You can find the reports in our Belarus section. 1. London (first meeting): Friday 15th February 2013, 7pm. The Autonomy Club. Freedom Bookshop. Angel Alley. 84b Whitechapel High Street. London E1 7QX. Nearest Tube Aldgate East. 2. Brighton: Sunday 17th February. Cowley Club, London Road, Brighton. 6-8pm. 3. London (second meeting): Tuesday 19th February, 8pm. University of London SOAS, Room 116, Main Building, School of Oriental and African Studies, University of London Thornhaugh Street, Russell Square, London WC1H 0XG. 4. Egham: Thursday 21st February. Royal Holloway University, Room & start time TBC. 5. Cardiff: Saturday 23rd February, 6pm Wells hotel, 77 Craddock St. CF11 6EW. 6. Leeds: Sunday 24rd February. Wharf Chambers, 23 Wharf St Leeds, West Yorkshire LS2 7EQ. Start time TBC. 7. Manchester: Tuesday 26th February, The Kings Arms, Salford. Time TBC. 8. Glasgow: Thursday, 28th February, Kinning Park Complex, 40 Cornwall Street, Glasgow. 7.00pm. 9. Edinburgh (probable date, TBC): Saturday 2nd March. 10. Nottingham: Tuesday 5th March. 7.30pm. The Sumac Centre, 245 Gladstone Street, Forest Fields, Nottingham, NG7 6HX. 11. 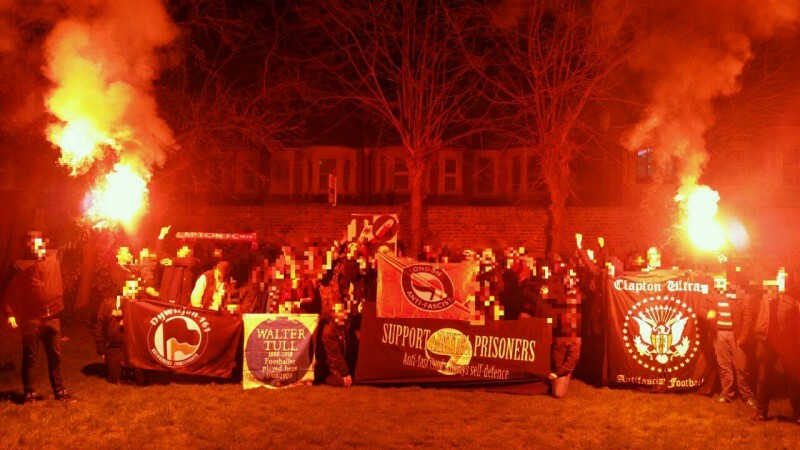 Oxford: Wednesday 6th March. Albion Beatnik Bookshop, 34 Walton Street. 7.30pm. A Prisoner Art Exhibition, collected and co-ordinated by Anarchist Black Cross (ABC) groups and allies, has now arrived at Colorama #2 (or C2), South London, as it begins a year-long tour visiting over a dozen venues across England, Wales and Ireland. Opposite the old Colorama Cinema, C2 is fast becoming a hub of activity as residents transform the office block and ground level warehouse into an anarchist social centre, while hosting the start of the ABC art tour for approximately 10 days. It will then move onto Britain’s largest anarchist bookshop Freedom Press, in Whitechapel, before being displayed at the London Anarchist Bookfair in the University of London on October 27th. Her Majesty’s Pleasure*? Stuff that!